14 Oct 2015 Washington D.C.
WASHINGTON, D.C.—Russian “aggression” in Europe and now the Middle East is a “new reality” for the United States that is “here to stay,” said U.S. Secretary of Defense Ashton Carter. While delivering keynote remarks at an Association of the U.S. Army (AUSA) event Wednesday, Carter identified Russia as a “serious challenge” for America, along with Islamic terrorism, and the large wave of migrants currently fleeing the Middle East. Carter indicated that he, along with a number of U.S. defense officials, are no strangers to Russian belligerence, having some experience with the Cold War. 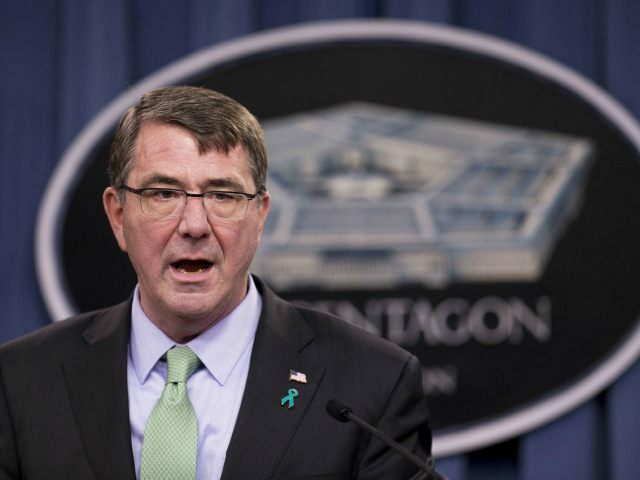 The Pentagon chief did note that dealing with recent Russian hostilities will require a new playbook. Carter has urged U.S. NATO allies to dispose of the Cold War playbook and think of new ways to counter new Russian threats. Russian aggression in Europe and the Middle East is going to be a long-term problem for America and its allies, predicted Carter. Highly ready forces that can quickly move and respond to developing threats are essential components of the new playbook that must be used against Russia, according to Carter. Under the new playbook, forces need to be enabled in space, cyber, and other new capabilities, said Carter. Russia has “destabilized the European security order by attempting to annex Crimea and continuing to fuel further violence in eastern Ukraine,” said Carter. Carter also touched on Russian President Vladimir Putin’s air campaign to prop up his ally, Syrian dictator Bashar al-Assad. Russia began bombing Syria late last month, claiming it was targeting the Islamic State (ISIS/ISIL), the Syrian al-Qaeda offshoot al-Nusra Front, and other terrorist groups. “Instead of engaging in a political transition in Syria, which is needed in that long suffering, Russia has chosen to double down on their long standing relationship with Assad, committing additional military hardware and capabilities and personnel,” said the U.S. Department of Defense (DOD) chief. Unless Russia drops its “misguided strategy” of providing support to Assad, the U.S. “will not agree to cooperate” with Russia, declared Carter. He accused Russia of unprofessional military behavior in Syria. “We’ll continue to need the [U.S.] Army’s posture and presence in Europe, reassuring allies and reminding adversaries of our unmatched capabilities, strength, reach, and readiness,” said Carter. The United States has deployed hundreds of soldiers from the Army’s 173rd Airborne brigade to train Ukrainian national guard troops.